... they may turn into favorite stash buster. Hearts and Nine Patch blocks are combined and so much fun! These blocks combine for an adorable quilt or can be used separately to extend other quilt layouts. 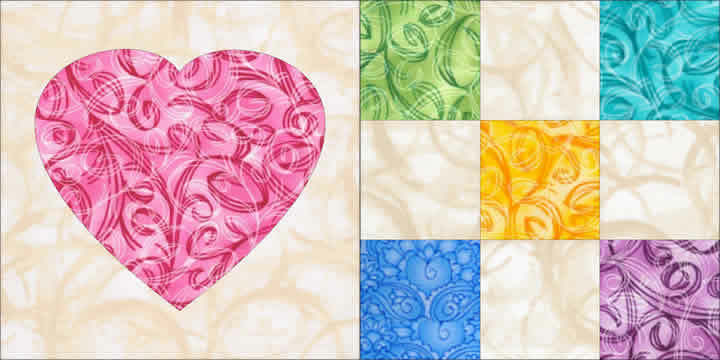 Hearts and Nine Patch blocks are available separately or combined in a discounted set. The Heart features SkyLights*, a technology that uses the precision of your embroidery machine to eliminate tracing templates and sewing complex curves.